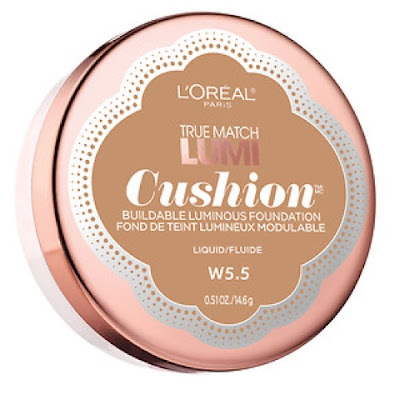 L'Oreal Paris True Match Lumi Cushion Foundation Worth the Hype? Hi Guys! I know it has been a minute since I have done a product review, but with all the hype about this new L’Oreal foundation I couldn’t resist the temptation to buy it and share my thoughts with you guys. When I saw it at my local Walmart I just knew I had to give this baby a try! L’Oreal True Match Lumi Cushion Foundation is a compact version of their True Match Lumi Foundation that comes in a bottle. Price: $16.99 I got it at Walmart for less $14.99, price is a little high for a drugstore foundation. Packaging: I am in love with the gorgeous white and rose gold packaging. 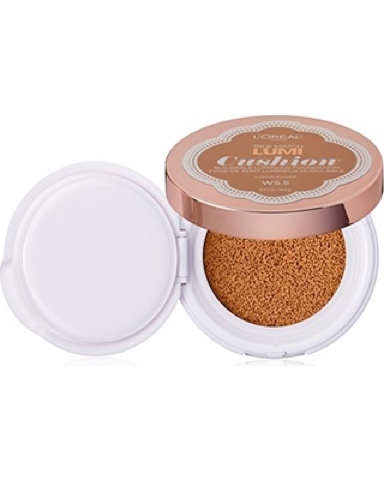 The packaging is perfect to take it on the go I am not crazy about the applicator that came in with the foundation because it soaks in a lot of product so you waste product. I recommend using the beauty blender or a brush. Finish: This foundation does what it claims the finish is very luminous and dewy but when you set it with powder you lose some of the dewy finish but it still looks amazing on. 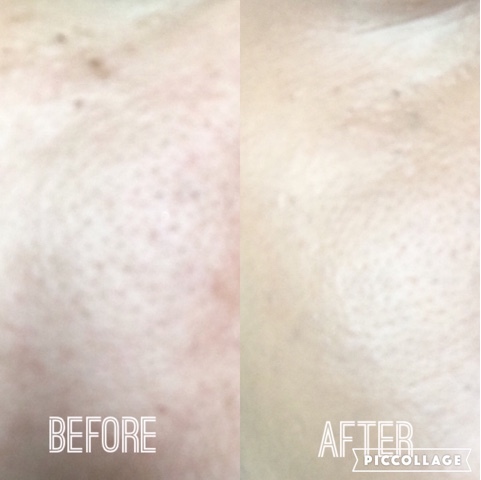 Coverage: The coverage is very buildable and blendable you can get sheer to medium coverage. Don’t worry about looking cakey it doesn’t matter how many layers you apply this foundation still makes your skin looks so flawless. Longevity: I have to say it’s very long lasting I had it on for about 7 hours and my face was still looking good. 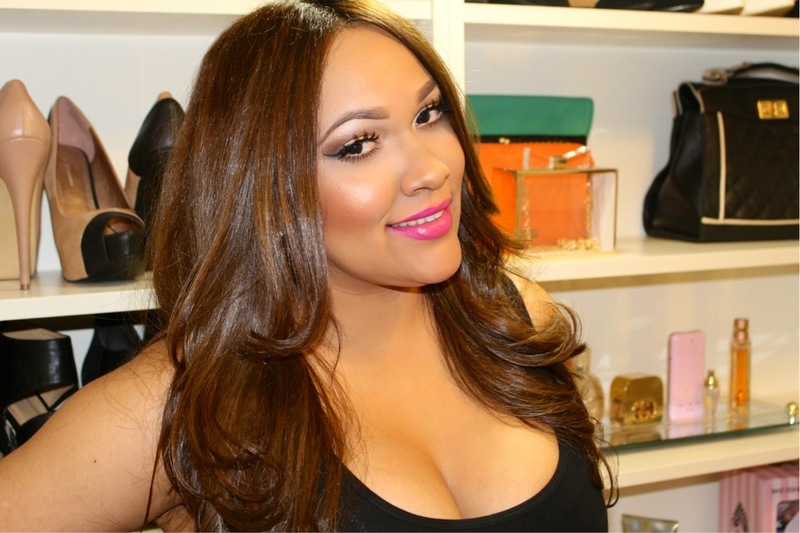 Overall: The L’Oreal lumi cushion is amazing! I loved how easy it’s to apply and take it on the go. It blends into the skin so effortless leaving a dewy finish. It is very buildable but never looks cakey so that’s a plus I totally recommended it! Liquid Foundation revolutionized – a fresh luminous glow in a tap. Introducing new True Match Lumi Cushion. An innovative sponge drenched in liquid foundation. Tap a little for a fresh natural glow, tap on more to build a new level of luminous coverage. Effortless Application, completely buildable, it’s your on-the-go coverage. Formulated with Precise Match™ Technology to match your skin’s tone and texture. Disclaimer some of this info came from L'Oreal Paris website.